The holiday season means lots of cozy nights in, festive music on the radio, and memories shared with loved ones. However, the most exciting part about this time of the year is definitely the abundance of readily available desserts. And speaking of desserts, who doesn’t love a good old-fashioned biscotti? This gluten-free version of a traditional favorite is refreshingly minty and chocolatey. These yummy morsels are sure to pair perfectly with a big cup of holiday cheer and your favorite pair of fuzzy socks. 1. Preheat oven to 350 and place parchment paper on a cookie sheet. 2. In a medium bowl sift together flour, baking soda, salt and cocoa powder. 3. In a separate bowl cream butter and sugar together until fluffy. Add eggs one at a time until incorporated. Add in vanilla and beat until mixed. 4. Add dry ingredients to wet then mix in chocolate chips and 1/2 C peppermint chips. 5. Lightly flour a piece of parchment or wax paper and scrape dough onto the working surface. If the dough is too sticky dust lightly with flour. 6. Shape into a ball and cut half. Take one half and roll into a log. Then place on prepared baking pan and shape into a larger log shape. Shape until it is 3/4 of an inch tall and 2 inches wide. Repeat with second half of the dough. 7. Bake for 35 minutes. Let rest for about 3 minutes then carefully cut 3/4” logs on the diagonal with a sharp knife. Turn each piece onto its side and bake again about 7-8 more minutes. Let cool completely. 8. While cooling melt the wafers in the microwave at 30-second intervals until fully melted. 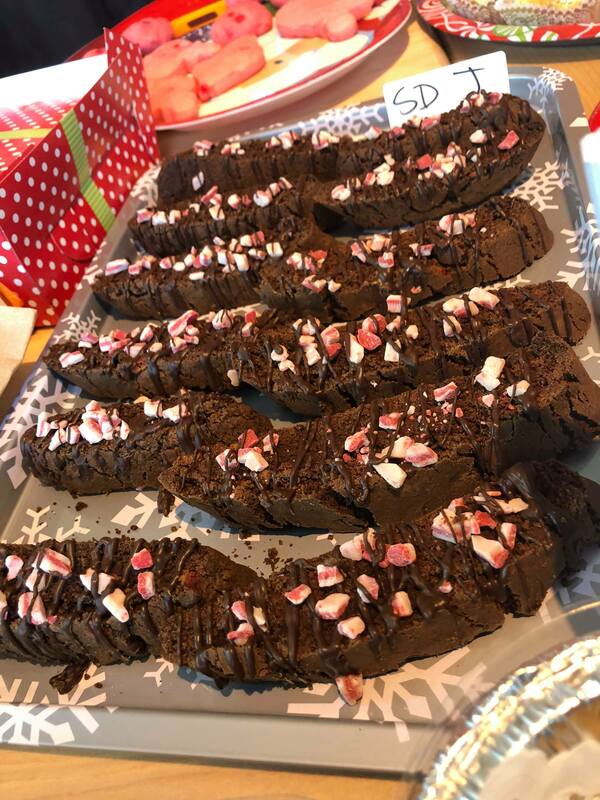 Using a ziplock bag or piping bag, pipe chocolate across the biscotti in zig zags. 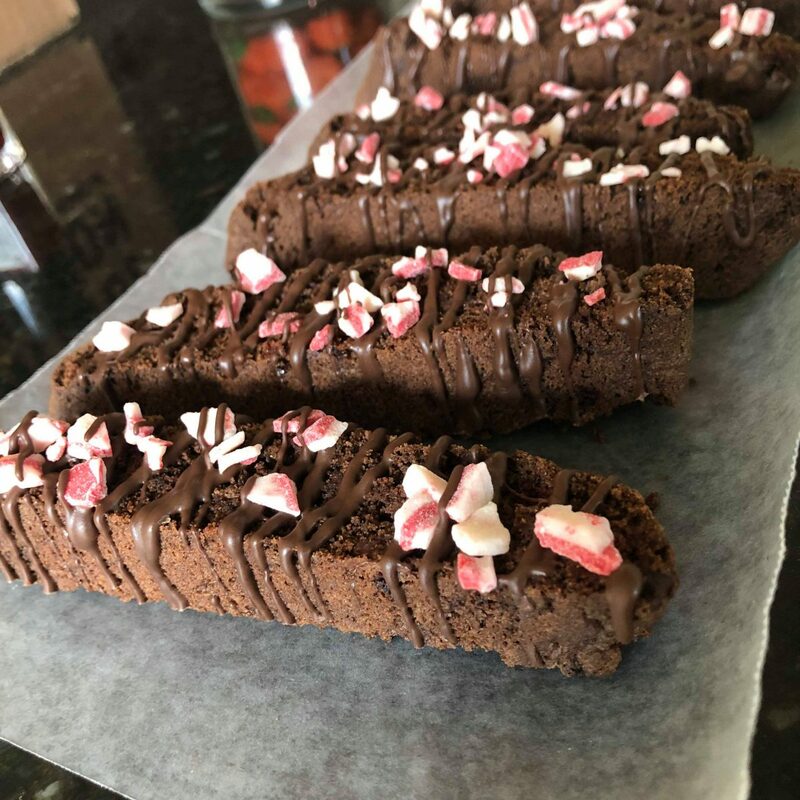 Sprinkle remaining peppermint pieces onto the tops of each biscotti before the chocolate drizzle hardens. Let sit for 1 hour. Enjoy with your favorite hot beverage! 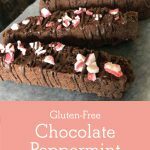 Rebecka is a stay-at-home mom who loves baking extravagant, over the top cakes and other fun goodies which you can find over at Bekah’s Sweet Bakes. When she’s not busy in the kitchen, she loves spending time with her husband and three-year-old son, Micah at their home in Oklahoma. 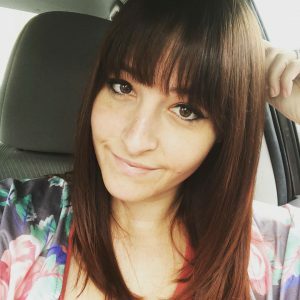 Consistent with her creative flair, Rebecka is a crafting enthusiast and even sells her own unique, made-with-love DIY bags.